Hi guys, It’s Jane here. Today I am so excited to talking about ” The power of giveaway”. When you’re opening up shop, it’s good to know what will make your customers happy. It’s best to know what will keep them returning to your business. No business thrives without return customers. It’s important for us to know and understand this. How many people like free stuff? Well, maybe the real question is, “who doesn’t like to get free stuff?” The reality is… everybody loves getting something for free, and if you can remember this when promoting your business to make sales, you can spur the selling process. Why is that giving something away for free actually helps your business sell more products? There are several reason for it. The most basic reason shop owners give their products away for free is because it’s the best introduction to the shop that can get people to wanting to check it out. To own an entire shop, you likely have several products to sell, right? Be wise when choosing which one you pick, because time and money factor into every product and there’s a certain point when the decision goes from being wise to unwise. Just don’t give too much. Some business owners hold contests. If you’ve gained a small amount of customers and great reviews, an awesome way to get them to come back is to start a contest. The contest can be simple. Pick one of your highest priced, highest quality items and simply tell your customers and visitors that all receipts between such and such dates will be entered into a drawing. There will be one, two, or three lucky winners. This will encourage people to not only buy, but buy quickly. As we know, there’s no healthy and happy relationship that doesn’t require some giving on both ends. If you give to your customers, they will be loyal to you. Find your way to give and develop relationships with the people who are interested in your products. 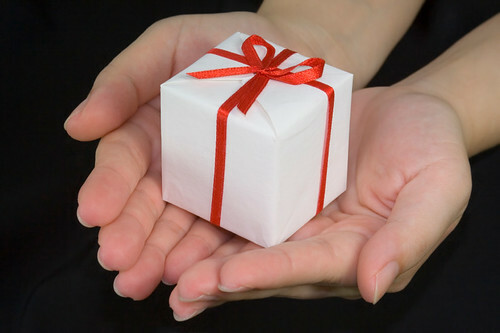 If you give to someone, they feel appreciated, and appreciate you in return. The nice things they say about your business will get more people coming your way. The last point leads into this one. The unmatched most successful form of advertising is being talked about. People listen to their loved ones more than they listen to commercials, billboards, blogs or anything else. If you give one awesome craft to one customer, they will undoubtedly tell someone about it, which will make that person want to come check out your shop. One of the great forms of marketing is partnering with other business individuals. If you know of a blog that may not mind mentioning your shop, contact the blog owner. Offer to send the owner a free product in return for a free review. Some blogs reach thousands of people all over the globe. If you give to the right one, you will easily make back the money from the free product, and likely multiply that income into incredible amounts of profit, just because you gave something away for free. Lastly, but nowhere near least, your job become more fulfilling when you’re able to find yourself creating smiles by giving things away for free. Be smart about it, because you still need to make a profit, but once you find the balance necessary to do that while giving, you’ll be happy to know people love you and your shop because you make them happy. As you see there are various reasons why giving your products away for free ultimately helps your business instead of hurting it. Once shop owners understand this, the next hurdle is figuring out what to give. This can be handled in a lot of different ways as well, and some of them don’t even require money, just time. Did giveaway working for you as well? Please share your thoughts and experience with us. Great post and great info, giving a little always reaps a lot! Especially if your heart is in the right place. Thanks for your lovely comment. Actually giveaway is an effective way to get my shop noticed as well. Right on sister. Totally love your style, Giving from your heart brings joy, and when people are happy they love to shop. I am glad to hear that it useful.